Your prepress department has been working hard to reduce paper waste. You’ve invested in imposition software. You’ve tediously experimented with rotations and bleeds to cram more jobs on less paper. But now your shop is in a jam. Too many cut programs to manage, too much product handling, and just not enough throughput. Something has to change! Allow this unique cloud based software to increases productivity and profit margins, through unequaled integration and automation with your guillotine cutting machines and slitters. 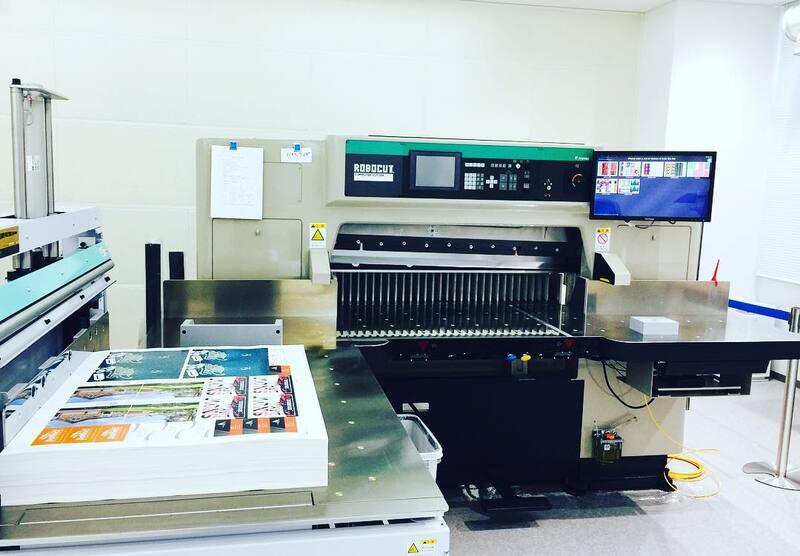 Modern prepress systems can create highly efficient layouts. They save large amounts of paper, but increase finishing work. Unfortunately, in today’s short-run industry, bottlenecks at the cutter hurt your business. Programming, lookups, and data collection are slow and tedious. Scissor hands​ eliminates the bottleneck. Scissor Hands converts prepress layout data into gang-optimized cut programs. Programs are built on demand for each job and loaded into the cutter, so there is no storage, no lookup, and no waiting. Our state-of-the-art, touch screen interface reduces training by animating every cut and every paper rotation. Data is automatically captured as jobs are processed. Additionally, our programs have fewer cuts and require less product handling. You can stop shuffling paper and start stacking up the savings. Scissorhands eliminates programming and reduces required cuts by up to 60%. It uses your prepress layout data to generate cut programs on-demand from the cloud. These​ optimized programs are loaded directly into your cutting machine without bypassing safety measures or replacing machine parts. Scissorhands provides a rich source of management information to help you further improve your shop’s efficiency. It collects data while the job is in progress, updating your MIS or ERP system with real-time job status and actual costs.